There is nothing better than springtime. From the sunshine to all of those freshly blossomed flowers, there is nothing better than the warm and sunny feeling it leaves Us with. Want to know what else is warm and sunny? The lazy days of summer that come right after that! By the end of winter, we can’t help but dream of what it would be like to be on a beach vacation with a coconut beverage in our hands and enjoying the sun’s rays (with sunscreen of course!). Honestly, could there be anything better? Not a chance. Since we’re a few months away from bikinis and beaches, we can still get that summertime glow without all of the UV exposure or a passport. This small-but-mighty product will have Us not only feeling but looking like we are on a tropical vacation 24/7! In fact, let’s go ahead and call it our very own beach-in-a-bottle! 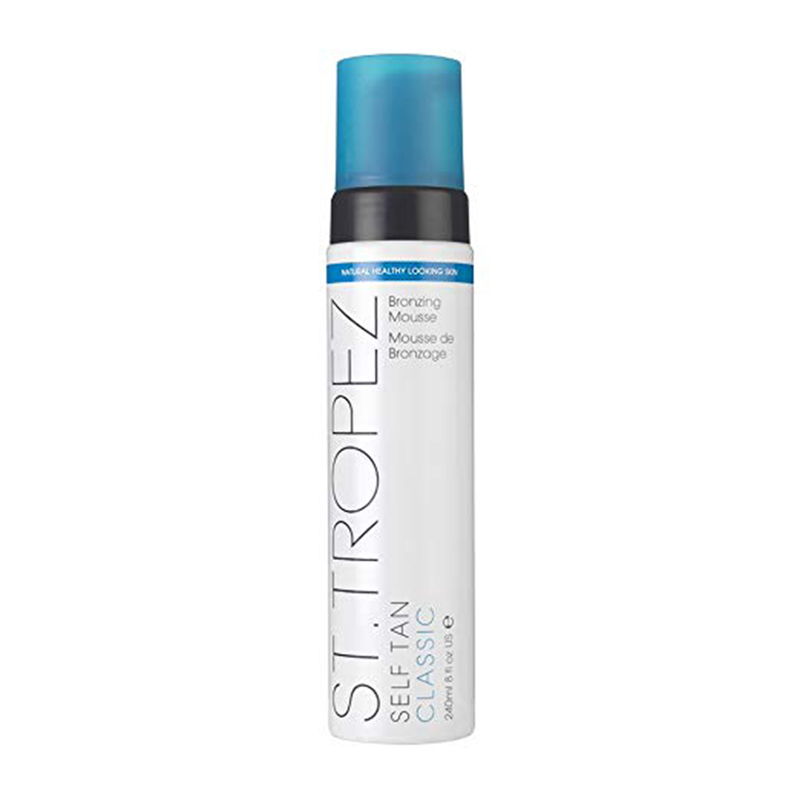 See it: Grab the St. Tropez Self Tan Bronzing Mousse with prices starting at $18, available at the Dermstore! Also available with prices starting at $18, available at Nordstrom! Also available for $32, at Ulta Beauty! Also available at Amazon (originally $42) with prices now starting at $18! The St. Tropez Self Tan Bronzing Mousse is the small-but-mighty product that will leave our skin looking bronzed and beautiful, without any travel required. Thanks to St. Tropez and its newly formulated classic mousse, this lightweight bronzing mousse is the ticket to our tropical getaway. This easy to apply, quick-drying formula is the best of the best when it comes to self-tanners for a streak-free finish and the longest-lasting, natural tan ever. Much like that hard-earned vacation tan, this self-tanner also happens to fade down on the skin evenly over time. The highly blendable, ultra-hydrating mousse also happens to be transfer resistant, which means it will only go on where it’s supposed to go and will stay there, too. That means we won’t ruin our clothing with self-tanning stains. How amazing! What’s more amazing? How easy this super-blendable formula is to apply to our bodies! St. Tropez recommends exfoliating the skin prior to application in order to remove all of those dead skin cells. Immediately follow-up by moisturizing any of those overly dry areas. That’s right, we’re talking about elbows, knees, ankles and even feet. This is crucial before applying the St. Tropez Self-Tanner the next day. The self-tanner will glide on evenly to all areas, giving us our most natural glow ever. Make sure to wait a few minutes before getting dressed, and to avoid water contact for the next 4-8 hours as the tan gradually develops. We also have the option to apply this formula before bedtime to wake up to a natural glow. Who needs to dream of a vacation when we can fake one in our sleep? To maintain our tan week after week, it’s recommended to moisturize, exfoliate and reapply regularly or as often as desired. With such an easy application process, it’s only natural for this self-tanner to be a fan-favorite with over 1,600 glowing reviews on Amazon. 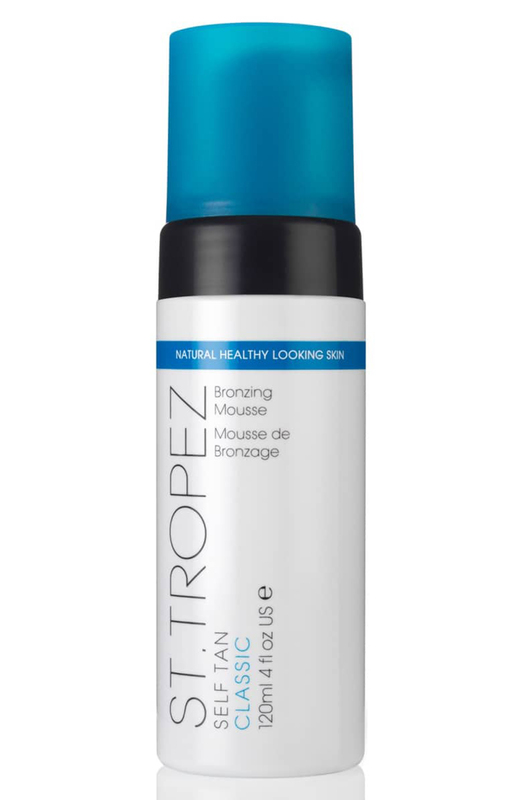 See it: Grab the St. Tropez Self Tan Bronzing Mousse with prices starting at $18, available at the Dermstore! Also available with prices starting at $18, available at Nordstrom! Also available for $32, at Ulta Beauty! Also available at Amazon (originally $42) with prices now starting at $16! It goes without saying that the power of this product can be found in its formula. Straying away from typical self-tanners that often leave our skin looking more orange than tan, this self-tanner was strategically designed to do anything but. Most reviewers noted that this product seemed to work with their skin rather than against it, too. From the reviewer who was dealing with fair skin to another who wanted to extend their tan, this product seemed to be the all-in-one option for those looking to not only achieve a gradual glow but maintaining one as well. After struggling with overly streaky self-tanners that often left skin uneven and orange for over 10 years, one reviewer finally found success with this holy grail product. Make no mistake, this is just one success story amongst dozens and dozens of them, too! From calling it the most incredible product ever to claiming it was life-changing, there was nothing short of reviewers jumping on the bandwagon for this skin-changing product. Across the board, reviewers agreed this was the best faux-summertime glow to date. Let’s be honest though, applying self-tanner is easier said than done. So of course, we loved the many reviewers who went ahead and offered up some tips and tricks on how to achieve their best tan yet. From loofa sponges to tanning mitts, it seemed that the best applications came when covering up our hands to avoid not only streaks and unevenness. Understandably, so! So while we wait to book our next getaway, take a mini vacay with this vacation in a bottle and leave everyone wondering if we just came back from a beach trip! See it: Grab the St. Tropez Self Tan Bronzing Mousse with prices starting at $18, available at the Dermstore! Also available with prices starting at $18, available at Nordstrom! Also available for $32, at Ulta Beauty! Also available at Amazon (originally $42) with prices now starting at $18! Not your style? Check out additional self-tanners also available at Amazon HERE!